If you have a heart for helping those in need, consider becoming a Court Appointed Special Advocate (CASA) for a child in your area. In most regions, you may work with children who are either dependents of the court (abused/neglected) or delinquents (have broken the law). Many children fall under both categories. What is a CASA? This is an adult who has been trained regarding the particular needs of children who have been abused or who have broken the law. The adult befriends a child and meets with him or her weekly to hang out, mentor, play, talk, or spend time in whatever capacity will benefit the child. This adult also has access to the child's full set of records (court, school, doctor, etc. ); may discuss concerns with the other adults in the child's life (parents, foster parents, social workers, therapists, teachers, etc. ); and advocates for the child in court by making recommendations in court reports and answering questions the judge may have during hearings. Your investment in the life of a child can have a lasting impact on his or her current experience and future choices. In many cases, CASA's are one of the few consistent adults in the life of a child who has been let down countless times. Check out the CASA program in your community! Click here for more information on becoming a CASA in the Bay Area. And feel free to contact me with any questions you may have. Recently, I was having a conversation about the insanely high cost of health care with a friend. I believe it is unacceptable that we cannot easily look up how much a service will cost before we get it. I would never go to the grocery store, throw a bunch of items in my cart for which the price was not marked, hand over my credit card to the cashier, and agree to pay whatever grocery invoice they send me in three months. My friend's reaction was, "No one should make medical decisions based on cost." As a person who has made medical decisions based on cost, I have to disagree. In an ideal world, every person could afford to undergo any necessary preventive care or medical treatment. Also, in an ideal world, the cost we are billed for care at a given facility would accurately reflect the cost and quality of the procedure or service itself. Furthermore, in this medical utopia, there would be no duplicate tests, no medically unnecessary procedures, etc. And I believe this is the world we should work towards. In my mind, everyone deserves quality, affordable health care. Period. Unfortunately, we are currently far from this reality. Additionally, in the current medical environment, the same services can cost thousands of dollars more at one facility compared to another, with no difference in medical outcome. And how can you make this cost comparison ahead of time? For many services, you can't. Or maybe you could, but with extreme difficulty and only if you knew how to ask each facility for the information through the proper channels. If you wanted to look up the cost of a heart procedure and the success rate of the surgeons at a dozen facilities in your area, it is likely that you would not know where to begin looking. And if you were able to locate the information somehow, I guarantee it would leave your jaw hanging, both the sheer amount billed at all of the facilities, and the drastic differences between what is billed at each, unrelated to medical outcomes or actual costs of the procedure. I am not here to argue whether or not the government should pay the cost or whether individuals should. My only purpose with the above is to point out that medical care is very expensive. $15,000 a year is a lot to most people, whether it is paid through direct premiums or taxes. We consume a lot of care, and most people have no idea that's how much it costs, in total, to pay for the care of the average individual. Let's examine some other aspects of the cost issue. Our "pay for play" system encourages providers to perform the maximum number of medical procedures in order to be reimbursed, not necessarily those which will provide the best outcomes for the least expense (also known as efficiency). I do believe 99.9% of doctors are genuinely caring and are making sound medical decisions. However, when there are multiple equally good options available, there is no incentive for a doctor or hospital to work for your financial benefit, except from the goodness of their hearts. I will give you a real-life example from a friend of mine, which occurred within the last year. Let's call my friend Joe. Joe's ten-year-old son injured his arm, and Joe took his son to the pediatrician. The pediatrician told him that Joe needed to get an x-ray and pointed him to the hospital across the street. Now, being the savvy medical consumer he is, Joe asked if there were any other facilities in the area that perform x-rays, such as a freestanding radiology center, but the pediatrician did not know of any. (Hospitals usually charge significantly more for radiology procedures than free-standing facilities, even though they use the exact same equipment, because hospitals have a lot higher overhead costs compared to a smaller facility.) Since the pediatrician said there were no other nearby facilities, seeing no other option, Joe went to the hospital for his son to get an x-ray. After the x-ray, the physicians at the hospital informed him that they were not specialized enough to read the particular x-ray, as the potential fracture was very small and they could not tell for certain if it was broken. They sent Joe and his son to a free-standing orthopedic center to consult another doctor. At the orthopedic center, the doctor told him it would take a long time to get the x-rays from the hospital, but they could just run new ones on site. Since his son was in pain, Joe consented. He ended up having to pay for three different physicians and two of the exact same x-ray procedures, one at a hospital rate, when there was an orthopedist with his own x-ray machine right down the street! It is not that the pediatrician was misdirecting Joe to the hospital in an attempt to intentionally increase the cost of this incident, but even the doctor was taken aback by someone asking about less expensive x-ray options and was unfamiliar with any. Interestingly enough, a few months later, Joe's son had a similar incident with his leg, and they were able to go directly to the orthopedic center. The end result of the care was the same, except it involved significantly less hassle at probably a third of the cost. One example from my personal life occurred when my husband accidentally cut his arm very deeply. His hand slipped with a knife while chopping tomatoes. One look at the cut told me he would need a couple of stitches, but the bleeding was more or less under control when he held gauze firmly against the opening. I thought of the possibility of going to the emergency room, but I knew that would cost us a couple thousand dollars in this part of the country for something that neither of us considered a true "emergency." Instead, we went to an urgent care center nearby, where a doctor in the office was able to sew it up quickly. Admittedly, it wasn't cheap, but definitely less than the ER. Yet most of my friends and family would never know how much they could save with a little knowledge about the costs of various types of facilities. In this case, I did not even need to know the exact rate we would be charged to have at least a vague idea that the urgent care center was a better bet on cost, probably a much shorter wait for a non-life-threatening injury (plus it would help keep the ER clear for people who really need it), and was perfectly capable of handling the issue. Another example involves a time when I was not so savvy and later regretted it. When I moved to California, I went to a new gynecologist for the first time. She asked me if I wanted my pap smear to include testing for a whole slew of sexually transmitted infections. Since I have insurance, I figured most of the cost would be covered, and I consented. A few months later, my portion of the lab bill came in the mail, and it was over $400! Yes, my insurance helped, but what was left for me was still a pretty large number. Thankfully, I had been putting money into a Health Savings Account and was able to pay. But had I been one of the 50% of Americans who could not come up with $2,000 for an emergency, I have a feeling $400 would have been quite a hit. And in retrospect, faced with the $400 balance, I strongly regretted getting the tests. I am married, with no past history of abnormal tests. I am my husband's only partner. The likelihood of me actually having one of those infections was virtually nil, yet I paid $400 to confirm that. I felt as silly as if I had paid to have an x-ray to confirm my arm is not broken, when I have not had any falls and I have no pain. Yikes! I definitely would have taken the cost into consideration when making that decision, had I known what it would be. If someone else were in my situation, I would now recommend not to get the tests. If the person had lesions or bumps or itching or any other symptom of a particular STI, then that would be a totally different story, and I would tell them to get tested. In that case, I would definitely agree with my friend that it would be a tragedy to have to choose otherwise due to finances. But when someone is as low risk as I am, there is no reason to throw money down the drain - yet I did not even have enough information to make that choice. Not only that, but had I really needed those tests, there are still ways I could have gotten them for less. In particular, I could have asked my physician to redirect the interpretation work to a freestanding lab, such as Quest, rather than letting the affiliated hospital process them. As mentioned above, an educated consumer should be aware that most things cost more at a hospital. As a follow-up to that, the latest revised clinical guidelines for pap smears say that a woman over the age of 21 with one partner only needs to be tested once every three years for cervical cancer. I am married, I have never had an abnormal pap, and no one in my family has ever had cervical cancer, to my knowledge. So I do not want to pay for this service every year, when that frequency is outside of clinical recommendations. Not only is it costly; it's also unpleasant. Yet when I told my gynecologist's office that I just wanted a visual exam and my vitals tested in lieu of a pap smear at my upcoming annual exam, the administrative personnel had to go ask around the office "if they can do that." Of the first several people she asked, no one seemed to know, until finally a nurse said it was fine. This is at an office that specializes in women's health! Apparently, no one has ever asked not to have a pap smear every year. Even if my insurance covered the exam in full, nothing is really free. That would be a cost that gets spread across the insurance premiums of all my coworkers the following year (including my own premium.) Now if my doctor had advised me otherwise or thought I was higher risk, I would have taken her educated recommendation over my own. But just a little bit of knowledge about the clinical guidelines from mainstream media (and a push from that $400 bill the previous year) opened up my eyes to ask about what is necessary, and it turns out she agreed that this service is not. Yet had I not taken initiative to ask, the default would have been to provide the testing. If I was shocked and upset with that $400 invoice my first year, I can only imagine how I would feel if I was in a more sticky place financially. For many people, receiving an unplanned $400 bill in the mail would be devastating. No one should ever be put in that position, where the cost of care is a surprise to them and puts them in a place of hardship. I do understand the argument that it is morally wrong to deny care to someone due to socioeconomic status. I do believe everyone deserves high quality care as a basic human right. I believe that someone facing an illness should get the care they need, regardless of their ability to pay. And I hope to spend much of my life working towards those changes in our society and our health systems. But based on the reality of the current system, which does not do this whole coverage thing perfectly, I also think people should know ahead of time what sort of bill they can be expecting. No one should be denied medically necessary care based on their ability to pay. 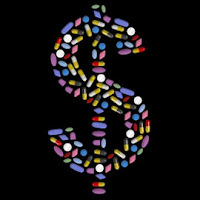 But also, every consumer should be aware of lower cost options that would offer equivalent care, such as generic versions of drugs, or freestanding radiology, laboratory, and ambulatory surgery centers, when they are available. And every person should be informed of the price of their medical care before they consent to incur the costs. No more surprises.